The "Original Scraper Bike Store" is now open for business. 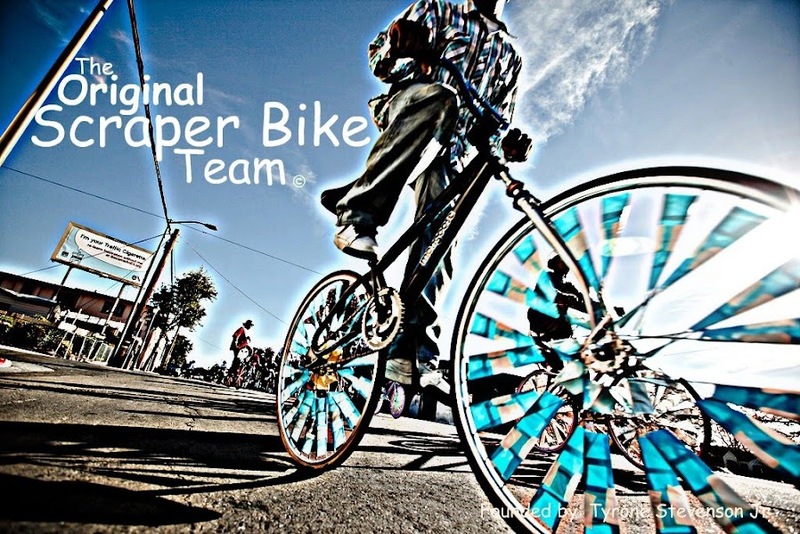 All proceeds go towards the Scraper Bike Movement. Click title to be linked to our online store. Please contact me immediately at 831-688-8038 in Aptos. I have a singular plan for action respecting the current "Oscar Grant trial"... and more. Scraper Bikes should be an integral part of this new paradigm for protest and forcing change. I want to meet with you and others in the Oakland community ASAP. It might be good if you glanced at http://oxtogrind.org/archive/646 first. Thanks for your many great efforts and accomplishments. Call The Ox at any hour. I just left a message on your Flickr account. Hey what's up! MUCH LOVE 2 ya! I heard about you on NPR. I'd like to do an interview and possibly video record the footage. Let me know what you think. My website info is on my site. www.geonomi.com we're currently in Oakland and dealing with Oakland Culture. Holla @ me!